The increasing popularity of smart mobile devices and their more and more powerful sensing ability make it possible to capture rich contextual information and personal context-aware preferences of mobile users by user context logs in devices. By leveraging such information, many context-aware services can be provided for mobile users such as personalized context-aware recommendation. However, to the best knowledge of ours, how to mine user context logs for personalized context-aware recommendation is still under-explored. A critical challenge of this problem is that individual user’s historical context logs may be too few to mine their context-aware preferences. 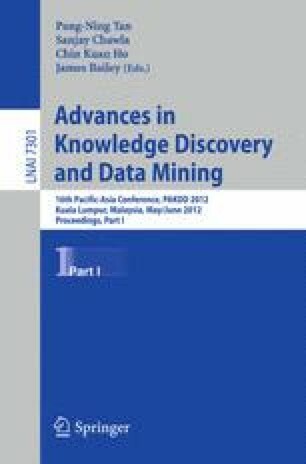 To this end, in this paper we propose to mine common context-aware preferences from many users’ context logs through topic models and represent each user’s personal context-aware preferences as a distribution of the mined common context-aware preferences. The experiments on a real-world data set contains 443 mobile users’ historical context data and activity records clearly show the approach is effective and outperform baselines in terms of personalized context-aware recommendation.